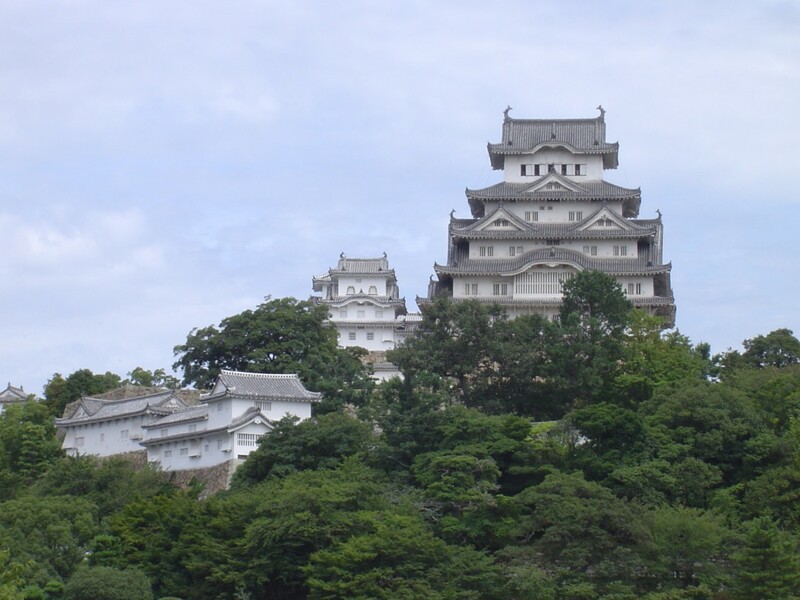 Himeji Castle was built in the first years of the 17th century by Terumasa Ikeda, a relative of Shogun Ieyasu Tokugawa. 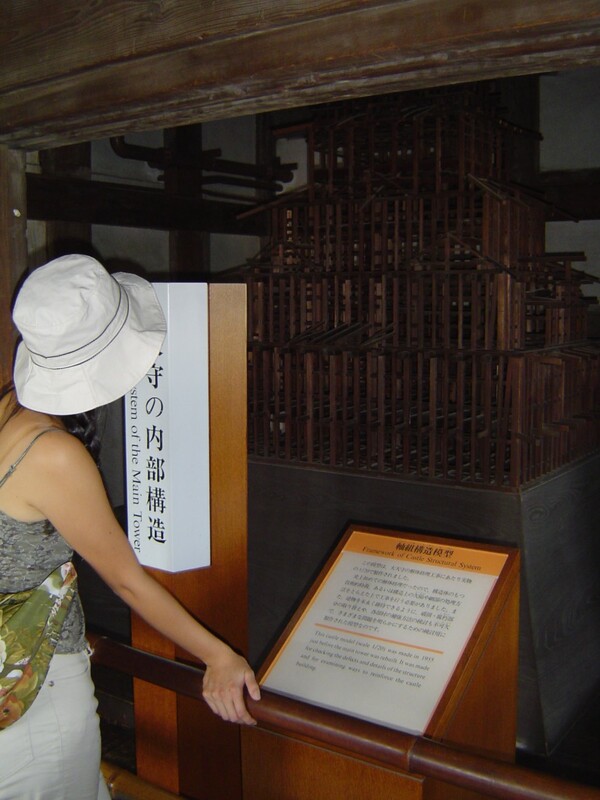 It is doubtlessly the best preserved wooden castle in Japan and, in addition, it still retains the surrounding turrets, stone walls and towers that most castles in Japan have long lost to wars, earthquakes and development. The castle is nicknamed "White Heron" Castle because of its trademark white plastered walls. 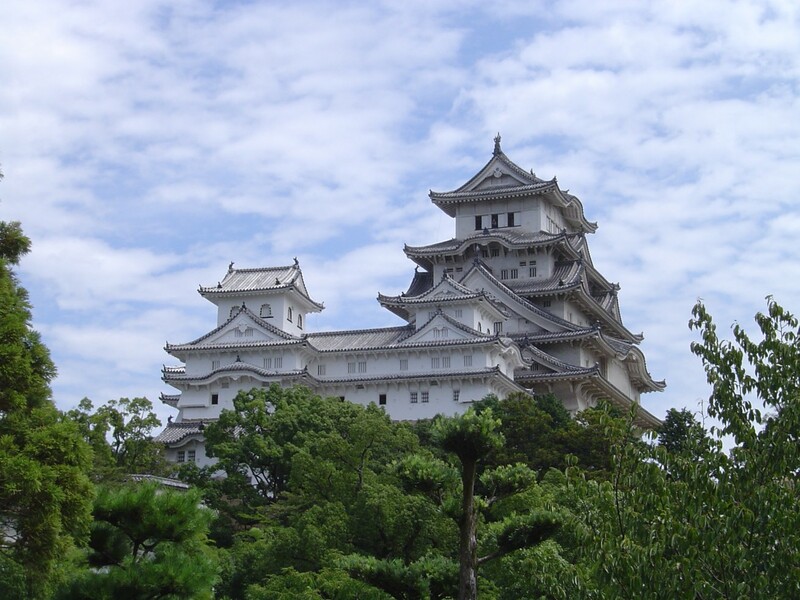 Himeji Castle was designated a national treasure in 1931 and became an UNESCO World Heritage Site in 1993. The castle is a unified combination of art and overwhelming defensive power. Its inner walls are arranged in a spiral labyrinth pattern to confuse attackers. The five-story main keep rises 46.4 meters above the hill it stands on to tower over the surrounding walls. Its most surprising feature is likely just how comfortable the castle feels inside. The castle is quite popular during cherry blossom viewing season. 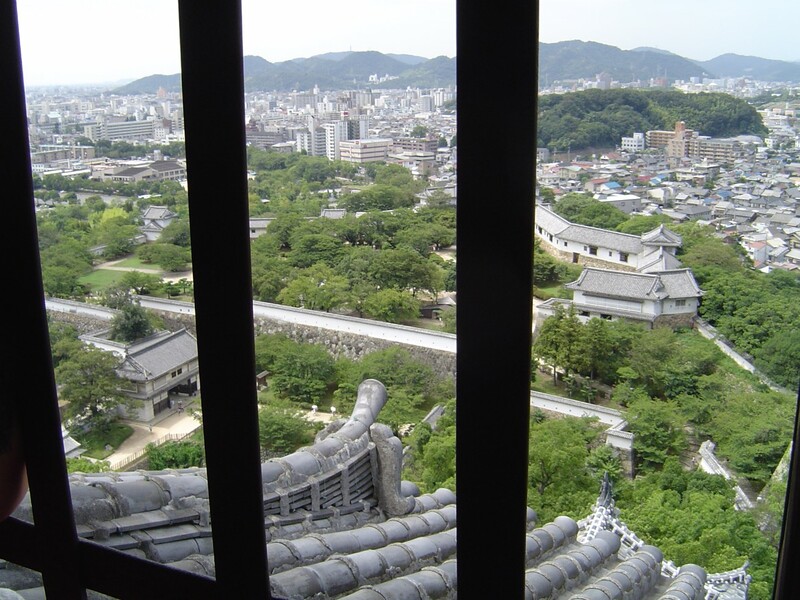 The Himeji City was considered an important military outpost to control in medieval Japan. A fort was first built there in the 14th century. 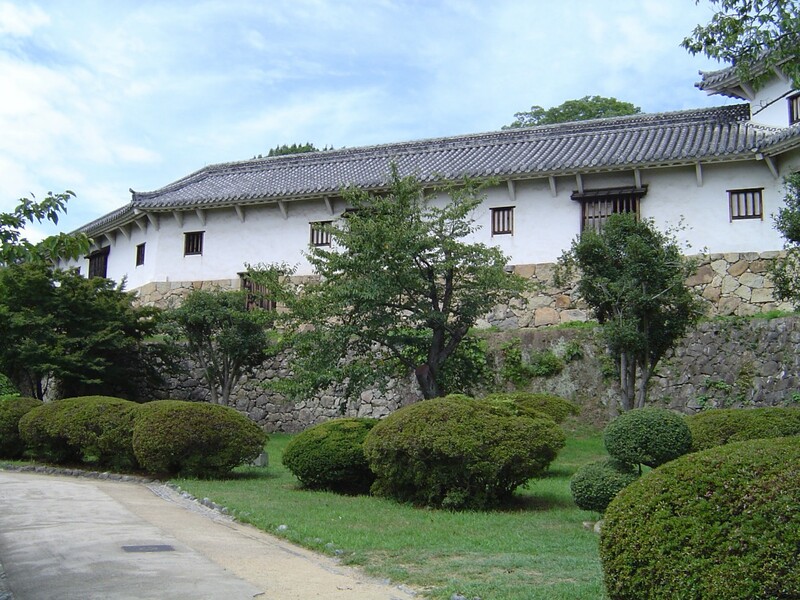 Later, a much smaller three-story castle was built by Hashiba Hideyoshi in 1580. Construction of the current castle was started in 1601 and finished in 1609. A huge number of people were mobilized for its construction. The castle's wood towers were covered in white plaster to make them more fire resistant. 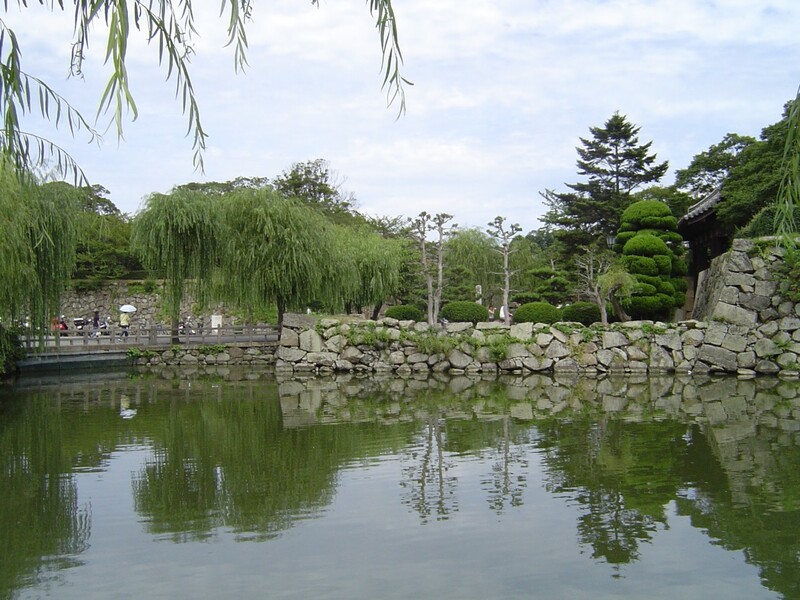 The castle was kept in good condition and repaired frequently during the Edo period (1603-1868) but the tower's foundations began to crumble under the weight. By the beginning of the Meiji period, the tower had developed a serious eastward slant. A popular ditty (alluding to the frequent disastrous fires in wooden Tokyo/Edo) exclaimed, "East leaning Himeji Castle, do you yearn for the flowers of Edo?" Needless to say, it had been abandoned ever since the need for castles had disappeared with the abolishment of the han system. Under a law dealing with such castles, it was sold at auction in 1873 for 23 yen and 50 sen. It was bought by a person living near the castle who planned to sell off the roof tiles. The cost to dismantle the castle, a condition of owning it, proved prohibitively expensive and it was left alone. 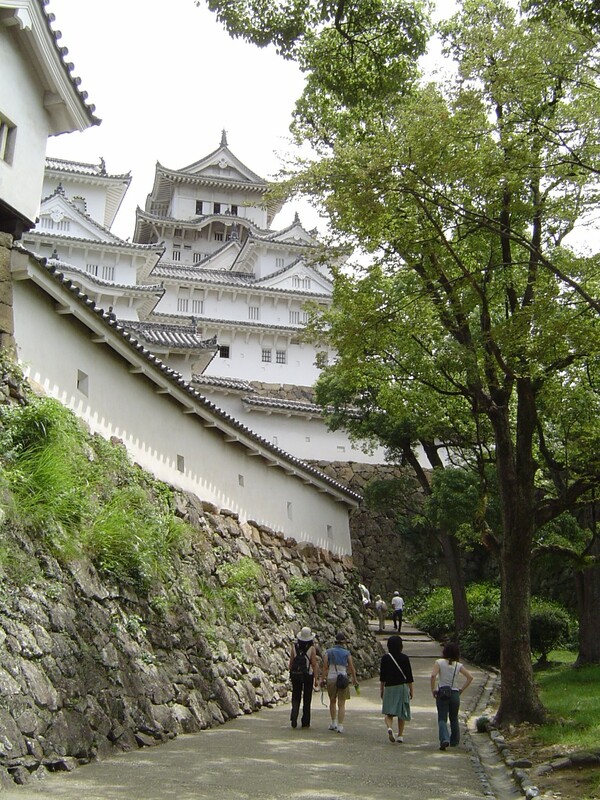 The rights to the castle lapsed back to the state and the Japanese military took control of the castle in 1879. In 1910, a petition succeeded in securing the money to repair and fix the tilt to the castle's tower. Major repairs were also done after heavy rain and flooding in 1934. 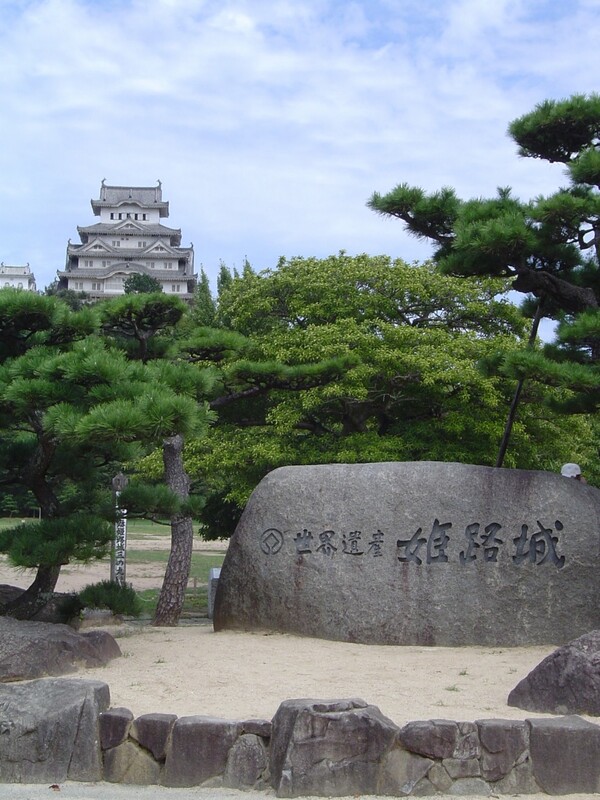 Himeji City was bombed near the end of World War II, but the castle and its other buildings survived with little damage. It will take over an hour to quickly tour the castle and much longer to fully appreciate all of Himeji Castle's beauty and strength. Tours are available in English and Japanese. Not to be overlooked, the city has a number of other worthwhile sights besides the castle. 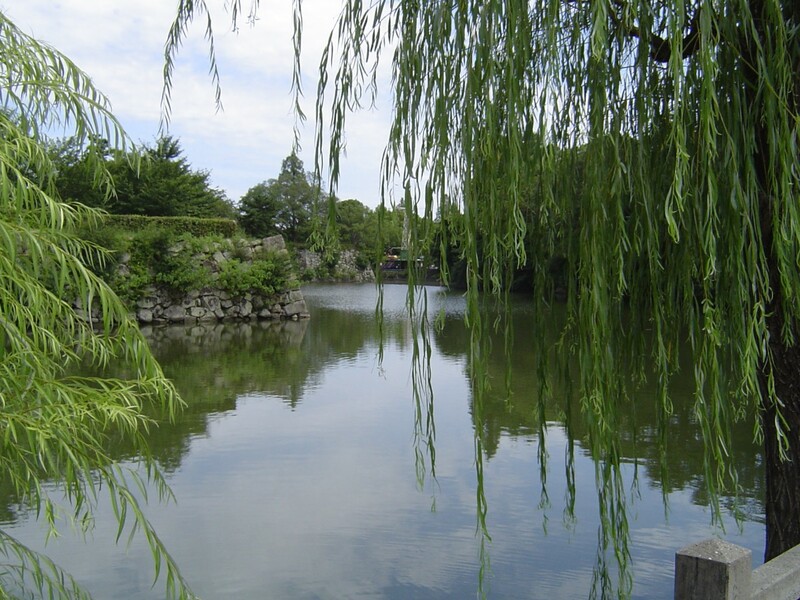 It is close enough to Kyoto to make an ideal full or half day trip. Cherry blossom season is an especially popular time to visit the castle. 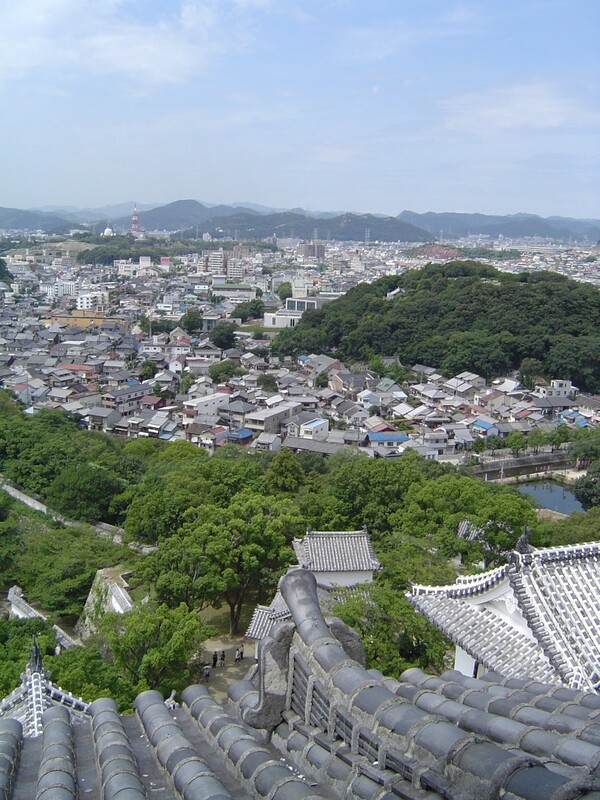 Himeji Castle is located in the center of Himeji City in Hyogo Prefecture (兵庫県) about 50 km west of Kobe City. 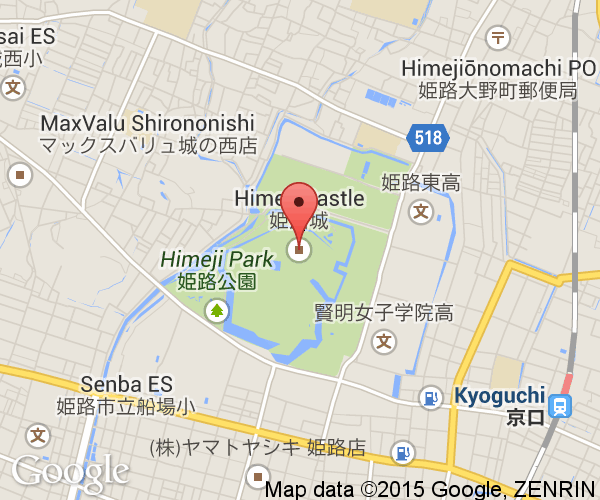 The castle can be easily walked to from Himeji Station. 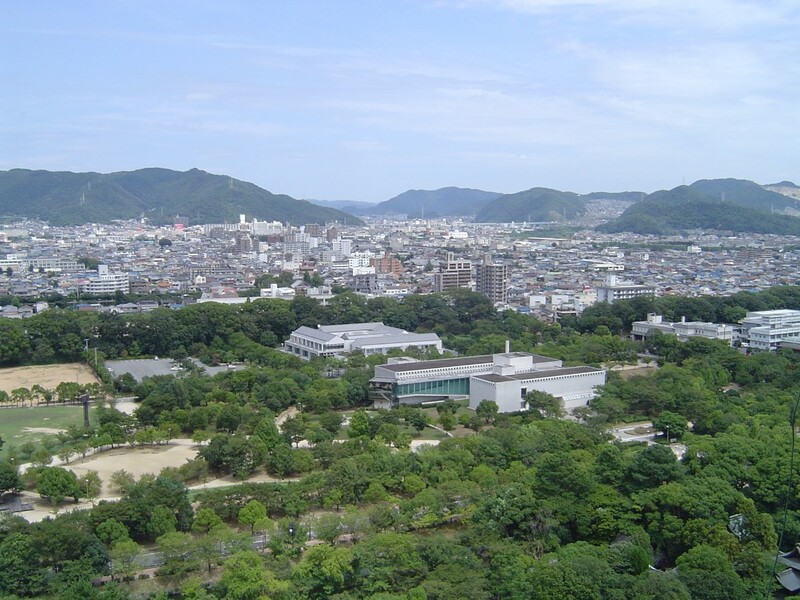 Himeji City is a bit over 3 hours by Shinkansen from Tokyo and an hour from Hiroshima City. Kyoto, Kobe and Osaka are all less than 15 minutes away.